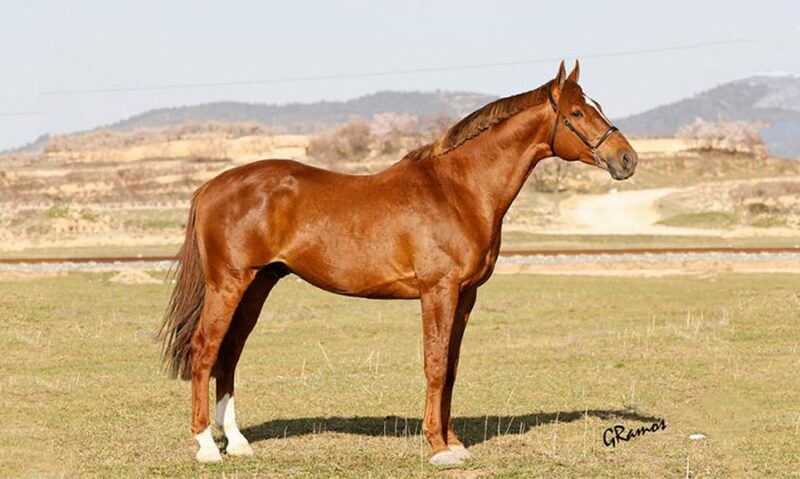 Chesnut stallion standing at 1.70 m with show jumping origins by paternal line, and dressage showing by the maternal line make this stallion a horse suitable for any discipline. 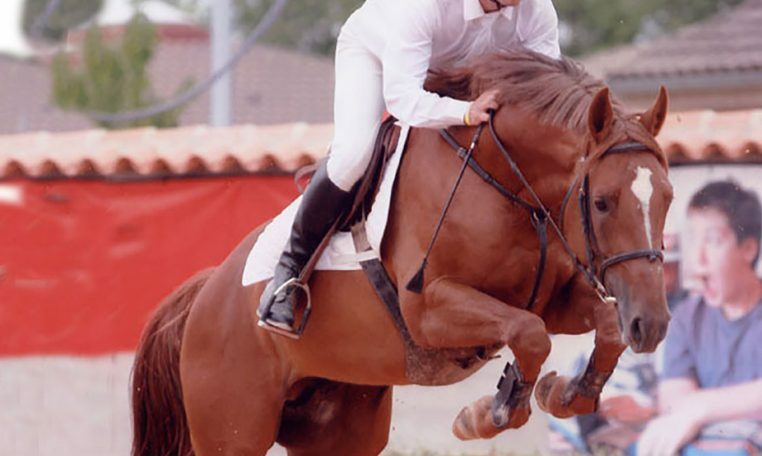 Reserve Champion of Spain in colts of 3 years in the final of ANCADES 2003 in the discipline of show jumping, and classified in the final of the Spanish championship of Dressage in the 2004. 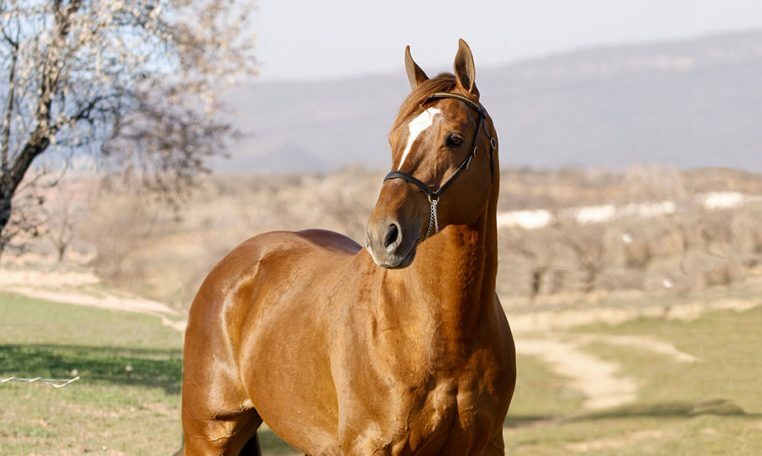 He stands out for his great nobility, with athletic, muscular, strong and elastic physic. Elegant head with straight profile, long neck well curved. Inclined shoulder and wide chest. Wide, good hindquarters. Straight back finished in powerful croup. Very god legs, both in the front and back. 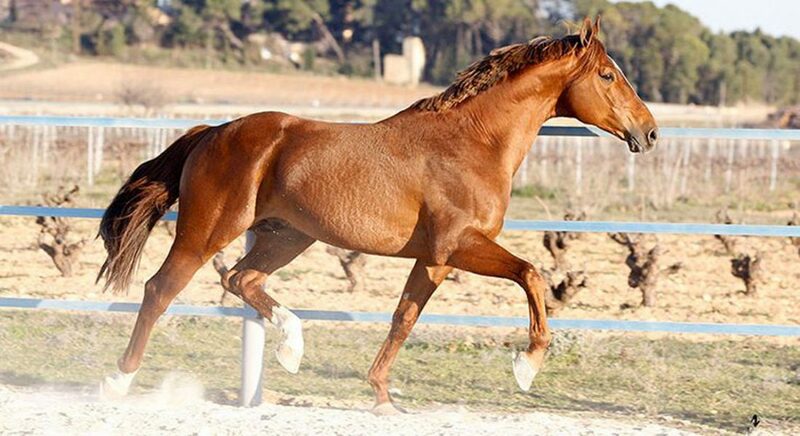 Stallion that improves qualities in other races (PRE, Arabs, Anglo-arabians…) Giving foals CDE of high size, strength, resistance and nobility, which makes them ideal colts for a future in any competition discipline: harness, dressage, spanish vaquera dressage or show jumping.